It is six years since the last Society for Mining, Metallurgy & Exploration (SME) Annual Meeting was held in Phoenix. This was my 3rd SME in what is not my favourite American downtown, my first visit being back in 1988. As I stress each year, the SME Meeting means different things to different people. For me it is one of the industry's great meeting places, with great networking opportunities. I forsake the technical sessions, so this report is really my diary of my wanderings, mainly around the exhibition area, seeking out familiar and new faces. Mineral processing is but a small part of the overall event, but is the area that I will concentrate on, and I really would appreciate the personal views of all who read this and attended the meeting. As always the SME got underway with a late afternoon reception in the exhibition area. And as always the huge exhibition was dominated on entry by the large displays of MEI Conferences sponsors FLSmidth and Metso. There were 844 booths this year, down on last year's 906, but not surprising considering the depressed state of the industry. My first port of call was to the booth of International Mining, the highly respected UK trade journal which is a media partner for all MEI Conferences. Good to chat with John Chadwick and his team of Phil Playle, Robert Warren, Paul Moore, and Kevin Laphem. Also good to talk to Chris Martin, a regular at the SME, who will also be exhibiting his RSG Inc company at Comminution '16 in Cape Town in April. RSG has just sold its largest ufg-mill to date. The ufg500 is a 500 HP (375 kw) dry media mill, designed for ultrafine dry grinding of industrial minerals, cements, lime and ashes. This ufg500 coupled with the ACS-300TD air classifier will produce 15 tph of 45 micron power station ash. The milled ash is used as a cement pozzolan and reduces the necessity of land filling waste ash. Lovely to see Ron and Elspeth Woods, who I last saw at Flotation '07 in Cape Town. Ron and Elspeth have come over from Brisbane, where Ron is an eminent professor of flotation chemistry at Griffith University. Tomorrow afternoon he will present the Antoine Gaudin Memorial Lecture, and receive the prestigious Gaudin Award for his outstanding contributions to advancing the chemistry of flotation of sulfide minerals and precious metals. Ron and Elspeth are pictured below with Matthew Jeffrey, director of metallurgical technology at Newmont Mining Corporation, USA, and his wife Marianne. Ron has kindly agreed to be interviewed for MEI's conversations series, as has Diana Drinkwater, who I caught up with at the Outotec stand, talking to Ben Murphy, who was one of her students at the University of Queensland in 1998. Formerly with the JKTech, Diana has recently joined the Mineralis Consulting group based in Brisbane, with expertise in operational effectiveness, due diligence, technical support and professional development. The group includes her old Mount Isa colleagues Joe Pease, Peter Munro and Bill Johnson among others. Diana has a particular interest in developing and delivering education and technology transfer programs for early-career mineral processing professionals. In 2013 she was the first female member appointed to the International Mineral Processing Council (IMPC), and she is currently chair of the IMPC Education Commission. She is an elected director of the Australian Institute of Mining and Metallurgy (AusIMM) and was chair of the AusIMM Metallurgical Society from 2012 to 2015. Finally I stopped by the Starkey & Associates booth to see John Starkey and Spencer Reeves, who will be representing the company as sponsors of Comminution '16 in Cape Town. Also good to see Jenna Hedderson, who I last saw in Cornwall last March, where she was commissioning the S&A SAGDesign test mill at Wardell Armstrong International, near Truro. Well known for his work on SAG mill design, I congratulated John on having a symposium named in his honour. The Starkey International Symposium on Sustainable Mineral Processing will be held in China in November, honouring his distinguished work and lifetime achievements. Photographed below in the Starkey booth are Spencer and Jenna and on the far right John, next to Jessica Neumann of Freeport-McMoRan, USA. In the centre are three students from Queen's University, Canada, Spencer's alma mater. A long and interesting day with a few surprises. As the exhibition did not open until 11am, I looked in at the Bookstore, and met my old friend Dave Osborne, who was buying a copy of Mineral Processing Technology. It is 19 years since I last saw Dave, who played a big part in getting the 1st edition of Mineral Processing Technology off the ground in the mid 1970s (posting of 10 August 2015). Dave is the 2015 recipient of the SME's Frank F. Aplan Award, for the development and application of coal preparation technologies, dissemination of knowledge through book publication, and maintaining a key global network of coal industry professionals. The award will be presented at the SME 2016 banquet on Wednesday, which unfortunately I will miss as I will be on the plane back to UK at that time. Since leaving the Camborne School of Mines in 1975 Dave has become a truly global person; although UK born he has become an adopted citizen of Australia and Canada also with permanent resident status of South Africa. He is currently Research and Technology Director with Somerset International Australia, a recently formed company he has helped to establish that is striving to find solutions for fine coal recovery and beneficiation. Dave introduced me to two of North America's leading coal preparation engineers, Peter Bethell, of Cardno, USA and Barbara Arnold of PrepTech Inc, USA. Barbara has recently been nominated for the 2018 Presidency of the SME. Two book signings were taking place in the bookstore. Scott Dunbar, of University of British Columbia, who I last met at Biohydromet '12 in Falmouth, was signing copies of his book How Mining Works, and Deepak Malhotra, of Resource Development Inc., was doing likewise with his book Plant Auditing: A Powerful Tool for Improving Metallurgical Plant Performance. On the way to the exhibition I met two well known biohydrometallurgists, Corale and Jim Brierley (posting of 27 August 2014). Corale is my specialist biohydrometallurgist on the Editorial Board of Minerals Engineering, and Jim is a regular reviewer. I am hoping to see them again in Falmouth in June for Biohydromet '16. International microscope company Carl Zeiss, sponsors of Comminution '16 and Process Mineralogy '17, exhibited at African Mining Indaba earlier in the month, the difference being that at SME an array of microscopes was on display, including its optical microscope portfolio and the new mine site automated mineralogy solution, MinSCAN. This is a ruggedized SEM based on the Mineralogic Mining software platform that was launched in summer 2014. MinSCAN has been operational at Kansanshi Mine in Zambia for the last 18 months and Zeiss has recently shipped its first system to South America for the Las Bambas mine in Peru, owned by the Chinese mining major MMG. There were many excellent scale-models of mineral processing equipment on display, including this 1 to 8 scale model of the Eirich Tower Mill ETM-1500. In the giant WestTech booth was a scale-model of their feedwell, which provides quiescent conditions on any thickener. The two-stage EvenFlo is the first feedwell to achieve uniform distribution of feed across the entire thickener. Older design efforts concentrated on even distribution within the feedwell, but failed to extend that homogeneity to the thickener itself. The efficacy of the feedwell has been independently confirmed by CSIRO. Eriez were demonstrating models of the HydroFloat Separator, designed to float coarse particles (posting of 5th August 2013), and their trunnion magnet, used to scalp residual steel media from grinding circuits. It was really good to see University of Utah's Jan Miller, recovering well after his horrific car accident in Tibet (posting of 13 July 2013). He is pictured below with Gerald Luttrell of Virginia Tech, Chen-Luh Lin of University of Utah and Mike Mankosa of Eriez. On my way to lunch I saw familiar faces at the Huntsman booth, including my old friend Steve Hearn, pictured with Hazel Kreuz, Jeff Aston, and (sitting) Andrew Smethurst. 2015/6 has seen the addition of new depressants, dispersants and frothers to the Huntsman range of mineral processing reagents and the company has established a flotation laboratory at its technical site in Melbourne to support its product development and reagent selection and optimisation studies. Following the lunch break were the Mineral Processing Award lectures, where it was good to see Ron Woods again with his Gaudin Award, and also two of my valued Minerals Engineering reviewers, Dave Dreisinger, of University of British Columbia, Canada, and Rob Dunne, of Newmont Mining Corporation, USA. 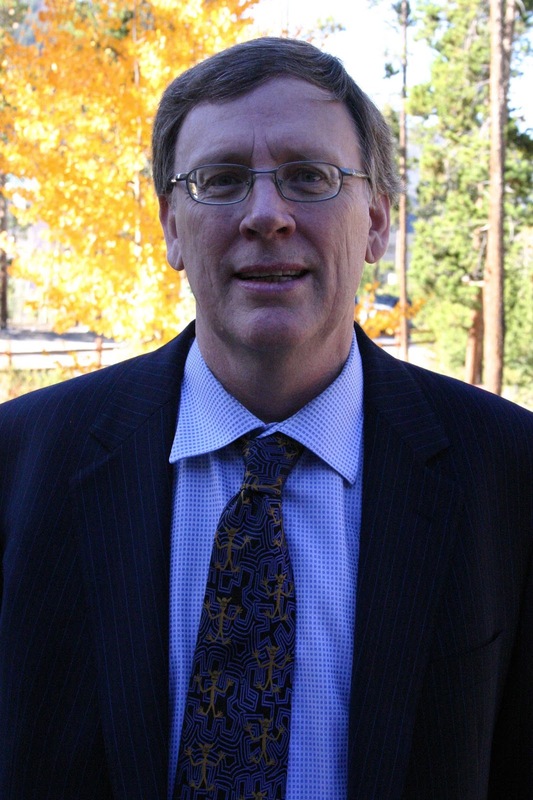 Dave was the winner of the enormous Milton E. Wadsworth Award, for significant contributions to extractive metallurgy research and education and for building strong bridges with the industrial metallurgy community to benefit all students of metallurgy. Rob was recipient of the Robert H. Richards Award for pioneering work in the applications of SAG milling, flotation, and gravity concentration for gold and copper recovery. On the way back to my hotel I met up with Corby Anderson, of Colorado School of Mines, and his son Caelen, metallurgist with Oceana Gold, and his colleague Michael Spicher. Caelen holds the rare honour of having degrees from both CSMs, an MSc in Minerals Enginering from Camborne School of Mines, and a PhD from Colorado School of Mines. A relaxing day today. I spent much of the morning by the SME Bookstore signing copies of the 8th edition of Mineral Processing with co-editor Jim Finch. Jim is Chairman of the International Mineral Processing Congress in Quebec City in September, and during the gaps between signings he updated me on the progress of the IMPC, which is obviously going well. Currently 950 abstracts have been submitted, from 50 countries, and already 700 have been reviewed and accepted for oral presentation. The social events include an evening boat cruise on the Saint Lawrence River, so there is a lot to look forward to in September, and all of the MEI team will be there. Strolling round the exhibition I spotted Wolfgang Baum, recently inaugurated into the International Mining Technology Hall of Fame (posting of 5th November 2015). Wolfgang has contributed to many MEI Conferences, in flotation, biohydrometallurgy and process mineralogy, and was a keynote speaker at Process Mineralogy '12 in Cape Town, when he was representing FLSmidth. He left FLSmidth at the end of June last year and formed a consulting company Ore & Plant Mineralogy LLC. He is an innovator in the integration of mineralogical analyses into geo-metallurgical programs for several base metal mining operations in the USA and overseas, so it was appropriate to see him at the Tescan booth, talking to CEO Michal Rabara and Business Development Manager Paul Gottlieb. Czech company Tescan, a sponsor of Process Mineralogy '14, manufacture very rapid SEM based Automated Mineralogy systems, and I look forward to their involvement in Process Mineralogy '17. Now, watch this space! IMPC Lifetime Achievement Award winner Roe-Hoan Yoon (posting of 23 October 2014) and Nikhil Gupta, of Virginia Tech, have patented a process similar to flotation which they claim will process particles of all sizes, and will simultaneously separate and dewater ultrafine particles. The process, known as hydrophobic-hydrophilic separation (HHS) has been tested successfully at pilot scale, and once fully proven I have suggested that they might publish their results in Minerals Engineering! It has become an SME tradition that non-American delegates get together on the Tuesday evening at an International Reception, and the day ended with drinks in convivial company at the nearby Sheraton Hotel. The last half day of the convention, which finishes at noon. I took a last stroll around the exhibits, hoping to catch up with a few familiar faces, and, although there was a distinctly subdued atmosphere today, I wasn't disappointed. I stopped by the Metcom Technologies booth to update Rob McIvor on Comminution '16. Rob will be playing a big part in April, presenting a keynote lecture and a pre-conference workshop. Rob is Chief Metallurgist with Metcom, and he and Business Development Manager Omar Arafat explained the company's development of a specialised method for designing ball charges to best suit the characteristics of a given ore and circuit performance requirements, making use of a comprehensive database of numerous tests and plant data. Finally, before taking my leave, I called in to see some of the many people who make this great convention happen. This year, behind the desk were Membership and Development Manager Samantha Roe, Education Coordinator Mona Vandervoort and Gwen Lipkie of Customer Service. They informed me that registrations this year were around 6500, well down on last year's 7800 in Denver, a reflection on hard times in the mining industry. Hopefully things will have improved by next year, when the meeting is in Denver again, the home of SME and my favourite American city. All being well I will be there at what is truly one of the industry's great networking events. We are very pleased to announce that Steve Williams, President, CEO and founder of Pasinex Resources Limited, Canada, a company exploring and mining zinc in Turkey, has accepted an invitation to present a keynote lecture at next year's Process Mineralogy '17 in Cape Town. Steve has worked in the mining industry since 1976 in milling operations in Australia and Canada. He worked 20 years with SGS Lakefield Research in Canada and Chile in both metallurgical project management and business management, finally becoming Managing Director for SGS Canada, a company with about 1300 employees in Canada. He has authored many technical papers and in 2004 he became a CIM Distinguished Lecturer and in 2008 a CIM Fellow, for his work in geometallurgy. Geometallurgy is the science of integrating geology and mineralogy with mineral processing and extraction, and is now commonly practiced but it is not yet truly embedded or “mainstream”. In his keynote Steve will highlight the benefits and tasks ahead for geometallurgy. Pasinex Resources Limited is developing a carbonate replacement type zinc deposit in southern Turkey. The presentation will describe learnings from this junior company undertaking a greenfields mine development, as it relates to the application and benefits of geometallurgy. The presentation will conclude with observations on those things that geometallurgy must overcome in order to “go mainstream”. Two of MEI's smaller conferences will run back to back in Falmouth, Cornwall in October. Precious Metals '16 (#PreciousMetals16) will deal with all aspects of the processing of gold and PGM ores. Last year's event (posting of 15 May 2015) was attended by only 29 delegates from 12 countries, a record low which reflected the dire strait of gold and PGM prices at that time, but there are signs of improvement already in 2016, so there will be much to talk about. Nickel and cobalt have also suffered badly in the mining recession but hopefully things will improve as the year progresses. 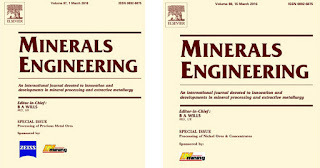 Last year's event (posting of 16 May 2015) was very small but highly focused, with a great deal of emphasis on laterite processing, so this year Processing of Nickel & Cobalt Ores '16 (#NiCoProcessing16) aims to bring together researchers and plant operators to discuss all aspects of the physical and chemical processing of nickel and cobalt ores and concentrates, copper-nickel ores and Ni-Co laterites. The two conferences, both media sponsored by International Mining, will provide ideal networking opportunities, and will run back to back at the St. Michael's Hotel in Falmouth. If you would like to present papers at either, or both, events, short abstracts should be submitted by the end of April. 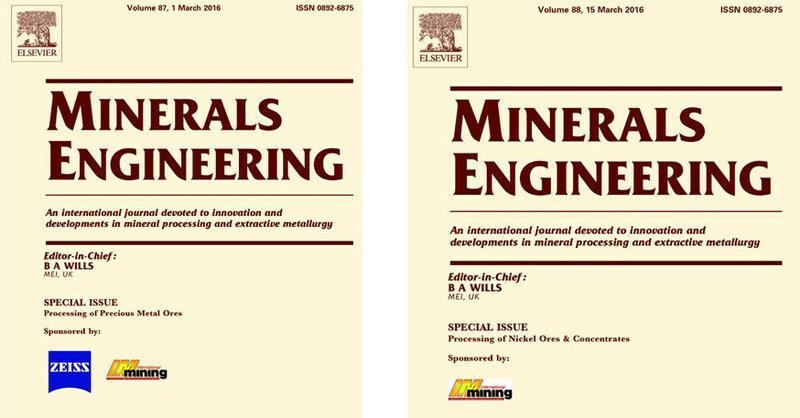 All papers will be considered for publication in special issues of Minerals Engineering. The special issues for Precious Metals '15 and Nickel Processing '15 have just been published and are available on ScienceDirect. It is good to see many major conferences now making effective use of Twitter hashtags. Last week I was in Cape Town for the African Mining Indaba (posting of 13 February) and many of the delegates, including me, were using the hashtag #MiningIndaba to bring their tweets together, thus providing an effective overview of the event. Next week I will be in USA for the SME Annual Meeting in Phoenix, and will be following people's views via #SME2016ACE. This year's IMPC in Quebec City already has the hashtag #IMPC2016 and all MEI Conferences display their Twitter hashtag on their respective home pages. So if you are a conference organiser, advertise your hashtag, and if you do not have a Twitter account I urge you to do so- its 140 character limit per tweet makes it a very easy way of keeping up to date. A change from our usual pub routine last night, the sundowner being held in the student union bar at Penryn's Tremough Campus, to coincide with Camborne School of Mines students' 'pasty and pint' evening, kindly sponsored by the CSM Association. It was a great opportunity to chat to the always highly motivated CSM students. Sadly, however, there were no mineral processing students amongst the young miners and geologists, as the degree and MSc in minerals engineering no longer exist, although I hear that there are plans to reinstate the MSc in the not too distant future. Many of the alumni present last night obtained degrees in mineral processing from Camborne. Paul Ainsworth, of slurry system company Paterson & Cooke, was one of the last batch of mineral processors to graduate with a BEng in 2006. In the photo below he is with me and sundowner regular Bentley Orchard. Bentley recently retired and his position at Weir Minerals has now been taken by Luke Rogers, formerly with Deister Concentrator. At the bar were two more familiar Camborne mineral processors, Klaas van der Wielen and Tim Richards. Klaas and Tim have the daunting task of commuting daily from West Cornwall into Devon, as Klaas is a shift metallurgist and Tim a graduate operator on the Drakelands tungsten-tin mine at Hemerdon on the Dartmoor border. Klaas is a familiar face at Minerals Engineering Conferences, having worked with Selfrag AG, Switzerland after leaving CSM with a PhD. They were relaxing after a hard week on the plant, which had been beset by several shutdowns due to the severe storms that hit south-west England last week, which I fortunately missed due to my time at Indaba. The processing plant at Drakelands has reached its design capacity but apparently still has a long way to go to achieve target recoveries. Thanks to all involved for a very pleasant evening. The annual Mining Indaba is the foremost global gathering for investing in the African mining value chain. The largely interactive and market led programme brings together the leading representatives from the mining investment community, the world's largest mining houses and Government ministries to share insights into how the sector can drive investments and capitalise on the opportunities available to Africa's mining industry. So basically not the type of conference that I am accustomed to reporting on. It is 10 years since I attended my last Indaba, this year being my 4th, and the attraction to me is the sheer serendipity of the event, in that you never know who you may meet, often faces from the dim and distant past, or what snippets of interesting information you might glean. A bit like travelling around one of Africa's large National Parks, where nothing of interest happens for long periods, then suddenly out of nowhere a completely unexpected experience. So it was with a completely open mind, my trusty Lumix FZ200 and an empty notebook, that I entered the Cape Town Convention Centre on Monday February 8th and what follows is my diary of experiences over the next three days, the final 4th day missed due to my return flight to UK. Arriving in time for the conference opening I was relieved, when I saw the queue at registration, that I had taken the time to register the day before. Many in the line would have missed the opening remarks from Jonathan Moore, Managing Directory of Mining Indaba, who welcomed the delegates, around 6000 this year, considerably less than last year, and stressed that it was important for mining companies to invest beyond mining cycles, something also highlighted a couple of weeks ago by SRK Consultants. In a more pessimistic address, Anglo American CEO Mark Cutifani said that the group would within days detail plans to withdraw from a number of mining investments "in several countries around the world." Commenting on the outlook for the mining market in 2016, Cutifani said he was unsure whether conditions would improve or worsen, saying mining firms could not rely on a reversal of the slump in prices. "For many of us in the industry, 2016 is already shaping up to be the most challenging yet. Opinions are divided on whether we have reached the bottom of the cycle, so things may still get worse before they get better. In the less than three years I have led Anglo American, the commodity markets have been on a perpetual downward curve, the steepest I have seen in almost 40 years in the industry," he said. I took my first stroll around the exhibition, by all accounts smaller than in previous years, and the first familiar face was that of Dave Capstick, of exhibition sponsor FLSmidth. Dave will be back in Cape Town in two month's time at Comminution '16. Then I caught up with David Spencer, who I last saw 10 years ago, at Indaba '06, and prior to that in Zambia in the early 70s. He was a fellow metallurgist when I commenced work on the Nchanga concentrator in late 1969. After an interesting career he is now Executive Chairman of General Exploration Ltd, a privately owned business focused on gold exploration in the Lake Victoria Gold Field in Tanzania. Passing the huge UK pavilion Innovation is Great, it was a surprise to meet my old Camborne School of Mines colleague John Eyre, of North Coast Consulting Ltd, Cornwall, with his business partner Kim-Marie Clothier, and in the pavilion Ben Tordoff and Allister McBride of Zeiss, UK, who are sponsors of MEI's next Cape Town conferences, Comminution '16 and Process Mineralogy '17. At Indaba they will be profiling the economics of automated mineralogy, rather than the technology. As automated mineral analysis moves closer to the mine, it unlocks the ability to drastically increase cost savings through reactive process improvement. Ben noted "as our core technology of automated mineralogy gets faster and nearer to the mineral processing circuits, the economic benefits of operational mineralogy grow". Ben introduced me to Emma Parker, operations director, and Vicki Partridge, fundraising director, of the UK-based Musangu Foundation, an initiative born out of the mining industry. The trustees of the foundation recognise that mining companies often work in remote regions within Africa and have the capacity to act as a catalyst for the development of social investment projects within the region in which they work. Emma explained that the founding corporate partner of the Musanga Foundation is Consolidated Nickel Mines Ltd (CNM), a private company focusing on nickel production opportunities. Since partnering with Jinchuan to restart mining operations at the Munali nickel mine in Zambia, CNM have also entered into an agreement giving them full operational control of the mine and the adjacent exploration area for a 10 year period, with the option to extend by another 10 years. CNM is hoping to start operations at Munali in 2016, operating through CNM's wholly owned operating company, Mabiza Resources Ltd, employing over 400 mine personnel. I am hoping that Emma might be able to travel from London to Cornwall in October to take part in Nickel Processing '16, as I am sure that attendees would be very interested to hear about CNM, the Foundation, and the Munali mine. Leaving the hall I caught up with John Chadwick and his wife Jan, also from UK. John's International Mining, an Indaba media partner, is also a long time trusted media partner of many MEI Conferences. The late afternoon provided a multitude of networking opportunities, with many companies providing hospitality. I spent some time in the UK Pavilion, sampling one of Scotland's finest malt whiskies, which made me feel quite home-sick, as this is something which I do most evenings in Falmouth, but never in the very amiable company of the British High Commissioner, Dame Judith Macgregor. Feeling quite mellow I then made my way over to the Ferrymans Tavern on the Waterfront for a few beers with my old Camborne colleagues John and Roselyne Eyre, and past students Pete Taylor, of Mammoth Mining, UK and Liam MacNamara, Vice President, Sales with FLSmidth, UK. A relatively quiet, alcohol-free day for me today. And a very hot day, even the 15 minute walk from my hotel on Whale Street to the Convention Centre was a chore. In contrast to yesterday's gloomy forecast of Anglo American operations, Themba Mkhwanazi, chief executive of Anglo American Coal, said, in a panel discussion on the future of South Africa's coal, that coal would remain an important commodity, and continue to be one of the key drivers in terms of economic development. Strolling around the exhibits, it was good to see MEI Conferences sponsors Outotec and Bruker strongly represented. Outotec is sponsoring the next 3 MEI Conferences, including Biohydromet '16 and Sustainable Minerals '16 in Falmouth (posting of 1st February) and Angie Voges, of Outotec South Africa, is a regular at all the Cape Town events. She is pictured below with Outotec's Robin Lindahl (Germany), Kalle Harkki (Finland), Dirk Slabbert (South Africa) and Mikko Immonen (Germany). Bruker, a major manufacturer of analytical instruments, is a sponsor of Process Mineralogy '17, and pictured below are Donald Osmond of IMP Scientific and Precision, a South African agent of Bruker, with Karsten Knorr and Anja Griessmeier, of Bruker AXS, Germany and Lynsey Singh, of Bruker AXS, South Africa. It was strange to see such familiar companies exhibiting, with no machines of any kind on display, a reminder that Indaba is very much an investment conference. In fact the only piece of mineral processing machinery on display was Russian company Bourevestnik Inc's diamond sorter. The company has a great tradition in the area of design and manufacture of X-ray Luminescence Sorters, starting from supply of the world's first X-ray sorter for diamond production in 1969. Since then it has supplied more than 1600 sorters, some 600 still being in operation. There are deeply polarised view on mining in Southern Africa, as was evident as I arrived for my final day at the Convention Centre this morning. Mining can never be totally environmentally friendly but, as we know, everything we use or touch is either mined or grown, and in his excellent keynote address this morning Robert Friedland, Executive Chairman and Founder of Ivanhoe Mines Ltd, put forward a strong case for mining's contribution to a greener world, particularly in respect of PGMs, Cu and Zn, commodities which Ivanhoe is very actively involved with in Africa. He argued that air pollution, which kills an estimated 3.3m people per year should be of much more concern than global warming, and that PGMs are critical to healthier air. The automobile is the most lethal pollutant in major cities, and 30g of Pt are needed per automobile for catalytic converters. Ivanhoe Mines is developing the giant Platreef Project on the Northern Limb of the Bushveld Igneous Complex, approximately 280 kilometres northeast of Johannesburg, in South Africa's Limpopo province. The project's resources consist of PGMs, nickel, copper and gold. The planned mine, which is expected to begin operation in 2019, is projected to become the lowest-cost producer of PGMs in Africa. Friedland said it would be a state-of-the-art modern mine, expected to last for the next 100 years, and that it would make the most of new automation technology. “Everyone working at the mine will be in an air-conditioned cab and there will be no exploitation of human labour. It’s the kind of mine operation where there will be no fatalities or injuries. The men and women who work here will be very well paid professionals who will lift nothing heavier than a pencil,” he said. Copper is at the heart of green energy, lithium batteries containing over 50% copper, so a huge amount of extra copper will be required for the development of electric cars. Copper and its alloys are also antimicrobial materials and so will increasingly be needed in hospitals to replace stainless steel. Friedland talked about the Kamoa Copper Project, situated in the Kolwezi District, Katanga, Democratic Republic of the Congo (DRC). The project includes the development of a 5Mtpa underground mine and a concentrator to produce blister copper and sulphuric acid. With an indicated resource of approximately 740Mt, Kamoa is regarded as Africa's largest, high-grade copper discovery and the world's biggest, undeveloped high-grade copper discovery. The mine is anticipated to start production in 2017 with an operational lifetime of 30 years. The concentrator will be designed to achieve 85.4% recovery at 32.8% Cu concentrate grade. Ore from the mine will be processed in a three-stage crushing circuit, and the primary and secondary ball mills will operate in closed circuit with hydrocyclones. Ore will then be delivered to the flotation circuit, which will consist of roughers and scavengers with a re-grind mill between the rougher and scavenger stages. Material from the flotation circuit will be cleaned in a cleaner circuit comprising cleaners, scavenger cleaners and re-cleaners. The final concentrate will be thickened before pumping to the concentrate filter and then on to the smelter. The smelting process will include the use of direct to blister flash (DBF) smelting technology, wherein the copper concentrate will be processed by flash smelting to produce blister copper (98% Cu). The produced blister copper will be transferred for anode furnace treatment, which refines and casts them as saleable anodes. Continuing with his green theme, Friedland stressed that zinc will find increasing importance in production of powerful fertilisers for food production, particularly in China and India. He talked about Ivanhoe's Kipushi Big Zinc zone, containing masses of extremely high-grade zinc. Ivanhoe now reports Big Zinc contains 10.2 million tonnes at 34.89% zinc. It is part of the wider Kipushi project in the DRC, where historic mining between 1924 and 1993 yielded 60 million tonnes grading 11% zinc and 7% copper. During the lunch break I met Profs. Sue Harrison and Dee Bradshaw of nearby University of Cape Town. Sue is a consultant to MEI on Biohydromet '16, and Dee is MEI's "Living Gold" ambassador (posting of 11th January). This has been Dee's first Indaba, which she found very timely, as its strong themes of sustainability and innovation are two of her passions and core to her new role as Director of Minerals to Metals at UCT. She told me that the highlight of Indaba for her was to participate in the ‘Development Partner Framework' discussions and to meet and engage with some of the people who developed and wrote the material that helped her change the course of her career. My three days at Indaba ended with a walk to the Waterfront Harbour for a cocktail function hosted by SRK Consulting, where the company launched their four-decade anniversary book entitled "SRK: 40 years in the deep end", which captures the roller-coaster journey from SRK’s early days in 1970s South Africa to its global presence today. Andrew van Zyl, Partner and Principal Consultant (both SRK South Africa). There is little doubt that 2016 will be a difficult year for mining, with companies preparing to weather an extended slump in mineral prices and unusually long mining cycles, but the general feeling at Indaba was that Africa has abundant opportunities for future investment. Although the weak Rand is attractive to foreign investors, South Africa's dwindling mining sector leads some to think that the potential lies in countries such as Namibia, Botswana, the DRC, Zambia and Zimbabwe, although drought has meant that lack of hydroelectric power from Kariba in the latter two countries is a serious problem. As mining, the industry which feeds all other industries, is by its nature cyclical, even if the cycles are lengthening an upturn will eventually come about, so it will be interesting to see how fortunes have changed by next year's Indaba, which will be held in Cape Town from 6-9 February 2017. MEI was just one of many media partners at Indaba '16 and this is in no way meant to be a comprehensive report on the conference. It is merely my diary of personal experiences over my three days at the Convention Centre. It would be impossible for an individual to take in everything that was happening at this extremely complex and well organised event, but the power of social media has been very much in evidence and a general overview of activities can be gleaned from the Twitter hashtag #MiningIndaba. I also invite all of you who attended this major meeting to add your own comments and views. What did you get out of African Mining Indaba '16; did it achieve its aims and objectives?